“The Baptism of Christ” Aert De Gelder, 1710, Fitzwilliam Museum, Cambridge, UK. This painting shows a UFO beaming rays of light down onto the baptism. Seventy U.S. Sailors Poisoned by Fukushima Meltdown and Mars. Unidentified Aerial Phenomena sightings were reported over: Alaska, Arizona, California, Florida, Hawaii, Kentucky, Massachusetts, Montana, Nevada, Oregon, and Pennsylvania. 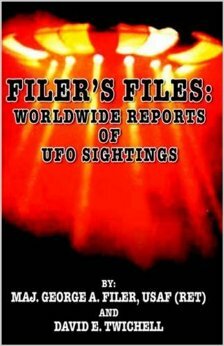 Sightings of UFOs were also reported in: Australia, Canada, Italy, Mexico, New Zealand, England in the United Kingdom. Artists were aware of UFOs for example a fourteenth century fresco of the Madonna and Child and St Giovannino, in the Palazzo Vecchio in Florence, attributed to the 15 Century school of Filippo Lippi. Depicted on the top right side the image is a UFO hovering in the distance. A blow up of this fresco reveals tremendous details about this UFO including port holes. It seems to indicate a religious involvement between UFO’s and the appearance of the Christ Child. The scriptures and thousands of books tell us the Earth is being visited by angels from the planet Heaven. They appeared over a hundred times in the Bible to men. Few remember that Angels and their glowing craft had a key role in the Christmas story and history of diverse nations. Angels are celestial beings believed to be a messenger or mediator between God and humankind. In ancient Mesapotomia, ancient Greece, Judaism, Christianity and in Islam angels were sent as divine messengers to humans to instruct, inform, or command. Angels apparently helped in the creation, and God said, “Let us make man in our image, after our likeness.” Angels also function as heavenly warriors and as guardians. The descriptions of Ezekiel in the Bible (1:4, 8:2) clearly indicate brilliant highly polished glowing yellow like brass or electrum an alloy of silver and gold. Our ancient scriptures tell us the Angels played a key role throughout the Jewish – Torah, the Christian – Bible, the Moslem – Koran and many other religions. Some angels rebelled against God and joined Satan in a war in Heaven and were thrown out. We are made a little lower than the Angels. They can look like you, but also have the ability to appear as a spirit. Common angels are real personal beings with souls, passions, emotions and desires. We celebrate Christmas throughout much of the world based on the birth of Jesus Christ 2000 years ago. The logical question is what has this to do with extraterrestrials and UFOs? I suggest there is a strong connection. It is one of the primary reasons the data is kept highly classified. CALAKMUL, MEXICO (INTELLIHUB) — Newly released Mayan documents, i.e. artifacts, dating back at least 1300-years reveal that the human race is not alone and highly advanced technologies including space travel have likely existed for quite some time. Not only does this documentation released by the Mexican government show the existence of an explorer race, it may also reveal the roots of mankind. These secrets have been “protected” by the Mexican government for 80-years. [Sundance winner Juan Carlos Rulfo’s Revelations of the Mayans 2012 and Beyondalso touches on such technology. “Producer Raul Julia-Levy said the documentary-makers were working in cooperation with the Mexican government for what he said was “the good of mankind”. Caballeros himself was conspicuous by his absence from the statement released by Julia-Levy. So far, the minister of tourism for the Mexican state of Campeche, Luis Augusto García Rosado, appears to be the highest-ranking government official to go on record confirming the discovery of extraterrestrial life, but he’s not holding back. In a statement, Rosado spoke of contact “between the Mayans and extraterrestrials, supported by translations of certain codices, which the government has kept secure in underground vaults for some time”. In a telephone conversation with the Wrap, he also spoke of “landing pads in the jungle that are 3,000 years old”. 1] The two circles near the center of the artifact appear to be earth at left. This appears to be a spacecraft of some type. This appears to be a massive comet or asteroid headed toward earth. Appears to be a specially designed spacecraft capable of deflecting a large comet or meteor, such as NASA “Deep Impact”. Appears to be an astronaut in control of a craft. What appears to be an intelligently controlled spacecraft. China has landed its Chang’e 3 first robotic Lander on the moon on December 14, 2013. This photo is the moon rover Yutu, or “Jade Rabbit” moving off its landing vehicle in the moon’s Bay of Rainbows. Seeking a clean energy solution, China is searching for helium-3 that is a light, non-radioactive isotope of helium that is nearly nonexistent on Earth, yet abundant on the moon. It has long been considered the missing piece needed to create fusion power. Scientists deem fusion power to be a potential game-changing source of energy. During the week of April 29 to May 3, 2013 a Citizen Hearing on Disclosure was held at the National Press Club in Washington, DC. This event was conducted in a manner very similar to hearings held by House and Senate committees. Forty witnesses from ten nations testified for thirty hours over a period of five days before six former members of Congress with eighty years of collective tenure. Witnesses included Apollo 14 Astronaut Dr. Edgar Mitchell, former Deputy Prime Minister and Defense Minister of Canada Paul Hellyer, and many former members of the U. S. military who held high security clearances. More information is available at: www.citizenhearing.org. The Citizen Hearing on Disclosure was both unusual and powerful. It was unusual because the testimony focused on the history of events and evidence pointing toward an extraterrestrial (non-human) intelligence engaging the human race now and in the past. It was powerful because of the transformative impact the testimony had on the sitting committee of former members of Congress, all of whom held appropriate skepticism on the subject matter. Accompanying this letter is a set of DVD disks containing a professionally produced record of the entire Citizen Hearing on Disclosure. We the undersigned strongly encourage you and your staff to review this video record and meet with PRG’s executive director Stephen Bassett to discuss the content. Furthermore, we are all prepared to give testimony under oath to the appropriate Senate and House committees on what we believe is a subject with profound implications for areas that include science and technology, open transparent government, freedom of information, defense, national security and air safety. We hereby request your support for holding hearings on this issue as soon as possible. Signed, George Filer Major USAF ret. UFO reports include secondary type effects such as the stalling of car and truck engines, dimming or loss of lights, interference on radios, television, and flight instruments. Once the UFO leaves the area the engines usually restart. The radio interference stops and returns to the tuned station. The lights again function correctly. Newer vehicles seem better to cope with the interference. When a craft lands it often leaves scorched earth, dead grass and deep impressions in the ground. Usually measurements indicate something weighing several tons had compressed the soil. The marks are usually symmetrical indicating a landing gear of three or four foot prints. Reports include strange odors like: ammonia, embalming fluid, pepper or brake fluid. This smell seems to be related to chemical reactions occurring in the air or particularly the ozone. The sounds usually reported are a low humming, hissing snakes, or frequently no sound at all. An electrical engineer reported that he heard eight to ten electrical motors running at different speeds and cycles when the craft passed over his home in Williamstown. We have a number of cases where passengers in autos feel as though they are floating, and even the car seems lighter and will not hold the road. There are several cases where multiple witnesses claim their autos have been lifted into the craft. Witnesses also report burned skin, possible damage to their puffy and watery eyes, loss of hair and radiation like burns. Many people report strange scars on people’s bodies. Generally, they cannot remember how the scars occurred. When we plot multiple sightings, we can often track the craft on a Great Circle flight route. The UFOs seem to act in an intelligently controlled manner. No nation has admitted to developing these craft although it is assumed some have been back engineered and are flying as reconnaissance aircraft. Videos seem to prove their unbelievable ability for acceleration and deceleration. They can make sharp ninety degree turns, hover, fly at tree top level, and to appear to fall like a leaf. The waters off British Columbia, Canada, are littered with dead starfish, and researchers have no idea what’s causing the deaths. At the end of August, marine biologist and scuba enthusiast Jonathan Martin was out on his usual Saturday dive with some friends. Martin wrote to invertebrate expert Christopher Mah, a researcher at the Smithsonian Institution speculated a type of parasite that lives on starfish is the leading hypothesis, but it may be related to Fukushima radiation. Note: Radiation from Fukushima is reaching the West Coast of America and it is logical to assume some types of sea life will be adversely affected. Diagnoses include leukemia, brain tumors and testicular cancer. They claim it was caused by contaminated water or a radiation plume. Mars will have a ‘white Christmas’ Mars is far drier than Earth, but it still gets some snow from time to time. Studies of Mars’ polar regions confirm that snowfall is a common occurrence. NORTH POLE — About 9 PM on December 12, 2013, my fiancé and I were watching television facing our forest. As we watched our show at least three bright orange flashes of light flew from 6 to 10 feet on the right side of our house off into the air and moved across to the left. Even though it only lasted a few seconds it was clear that the light originated and continued in the air. My fiancée thought something in the garage had exploded. However, there was never any sound at all. I thought the lights to the truck had flashed a few times. My fiancé ran out onto our front deck to look and see what it was but there was nothing there. The lights were bright orange and clear quick flashes with 3-5 of them successively within the span of several seconds. They moved silently lighting up our large front yard that could hold 35 cars. Last night, around 3:30 AM, our dog came into our bedroom and alerted me to deep (Wah-Wah-Wah-wah) sound. The dog acted as if there was someone at the door but our motion sensor lights weren’t on and I saw no one. I felt the weird need to sleep in my four year olds bed with him at that point. Suddenly, my dog collapsed onto the floor and laid there with her eyes open, but not blinking. About three minutes later she woke up and acted normal again. I am a college educated and believe we are not the only intelligent life out there. MAYER — The four video clips uploaded: UFOs on December 15, 2013, are unaltered, and were loaded into my computer. My significant other took the movies on a tripod and we have a General Electric Camera with 14.1 megapixels. All videos are of the same object. On the 15th of December, we let our dogs out and looked at the photographs taken three days prior, which is titled Satellite 003.MOV. We named it that because we didn’t know if the object that had suddenly showed up in our backyard sky for the last three weeks was a UFO or a Satellite. This took place on the 12th of December. The date and time was not set. I posted this on Facebook to see what my friends thought if it was a UFO or Satellite. It was posted on Facebook on December 14, 2013. There were eighteen or more UFOs dancing around the first object we took a movie of three days earlier. The weather was so cold that the camera wouldn’t take pictures. Later there were still five objects circling the object. My other half found one object to focus on, as the others were too spread out to fit in the frame without panning. For many UFOs to go forward, backward, up, down, and around as if dancing together we know what we saw, and filmed. SALINAS — Driving south on Salinas Highway on December 17, 2013, I pulled over to observe the beautiful vibrant reddish clouds against the blue sky at sunset. I exited and took two pictures with my I-Phone 5G as well as brief video of the unfolding colors. Upon checking the photos and video I discovered an unidentified flying object. WELLINGTON — My fiancé and I were on our way to the mall around 6:45 PM, on December 22, 2013. We both spotted a light flying south at a speed quicker than a helicopter when it suddenly changed direction (unlike a helicopter) towards us. When it was passing over I noticed it had three solid bluish with white and green lights. I knew it wasn’t a helicopter because the lights weren’t in the same pattern and weren’t blinking. ANDOVER — On December 19, 2013, I left work at 5:54 PM, came out of building which faces north towards the river. Sky was clear, could see stars, no precipitation, it was dark. I noticed four lights traveling across the sky, from the north heading east and gaining altitude. The first three lights were in a triangle formation and the 4th light traveled behind the triangle silently. All 4 lights kept the same distance from each other. I took a couple of still pictures 5:55 PM, and a video. One of the still shots shows a light, and the video shows the 4 lights (triangle and trailing light). I then witnessed light after light come off the horizon from the North and travel the same pattern, the same speed, probably about 12 more lights total about 30 seconds apart from each other and seemed to be equidistant from each other coming one-by-one. I would estimate it took about 75 to 90 seconds from the time it came from the horizon until it fully disappeared. Another employee was walking to his car and I engaged him pointing out the lights. He stated that he did not see the triangle formation, but saw about six of the lights and noted it was odd there was no noise. The lights were odd compared to aircraft that I am aware of as they were constantly on, and flickered just a bit but did not blink. WINEMA NATIONAL FOREST — Jeannette La Tulippe writes, “Right now my computer is acting really poorly as it usually does when I take a picture of an orb and then load it into the card reader. I submitted an article to you regarding the four bright white orbs in a tight circular pattern with one on top, another on the bottom, and one on each side. I’m just 42 miles outside of Klamath Falls and had my sighting on December 17, 2013, at 4:38 A.M. a couple days after the Klamath Falls sighting of December 14, 2013, at 9 PM. When I first had the house built here the black copters came. I didn’t know what they were at the time. The copters would come down very low just about touching the tree tops and would look into our bedroom window and stay there for almost an hour. They would also move to the other outer wall and would just sit there. They would circle the house, sometimes fly away then they would return. I’d go outside and flip them off. Thanks to Jeannette La Tulippe. Note: I suggest getting serial numbers off the helicopters. You would likely need bright lights and a video or camera. Call TV stations, police, and congressmen. Unless there was an emergency there is no legitimate reason for this harassment. BETHLEHEM – I just parked my vehicle in my lot at 8 PM, and saw a row of orange bright lights on October 15, 2013. They just hovered in the sky and after a minute they flew away one by one very fast and disappeared. REDCLIFFE, QUEENSLAND – From our balcony we saw what looked like a plane on fire high in the sky on November 24, 2013 at 10:30 PM. It wasn’t a meteorite as it had no tail and was floating and headed back out to sea. All five witnesses were all convinced it was definitely not normal! BRISBANE, QUEENSLAND – On December 7th 2013, about a kilometer away down the valley a transformer surged, exploded, and showered a heap of blue sparks outwards and made a loud electrical hissing sound. This caught everyone’s attention that turned around to catch the last split second explosion. It may have been a traffic accident into a power pole and it was shortly followed by sirens of emergency vehicles going towards the scene. CALGARY – On December 17, 2013 object appeared to climb at a fast rate in center of video. Leaving school the witness observed object from the parking lot and then again about a mile away when I stopped for another look. VANCOUVER – I was taking my 15 minute break at work on December 11, 2013, when I noticed this flying object. For the last few months vie seen this same star like object. For some odd reason I decided to take a picture of it, zoom in, and thought you guys could tell me what this is. It comes around almost daily at the same time just before sunset. KELOWNA, BRITISH COLUMBIA — I was driving towards downtown on highway 97 (Harvey) when I glanced up at the night sky and saw a very large saucer shaped craft pinned to the night sky on December 2nd 2013, at 9:45 PM. It was surrounded by white and red lights hovering silently making any sound and hanging quite low, above and behind the superstore building. It just hung in the air like a still photograph with a smooth metallic sheen that reflected the white and red lights on its surface. It started to slide in what looked like a perfect slope and disappeared past the top of superstore building. I was profoundly affected by the sighting. The damn thing was lit up like a Christmas tree. It is definitely my first UFO sighting ever. SAN MAURO – On December 8, 2013 a fixed focal length telescope obtained this photo of an orb at the rear of the747. These spheres pass very close to the aircraft. Their diameter varies between 2 and 5 meters. MOORSIDE, CONSETT, COUNTY DURHAM — I was standing at the door looking up at the sky on December 9th 2013. I noticed a star like thing start to move but all of a sudden it started to shine very bright at6.15 PM. At first I thought it was a plain high up and its lights at the front shining.